Animals, aren't they wonderful. They capture our imaginations and hearts and fascinate young and old alike. 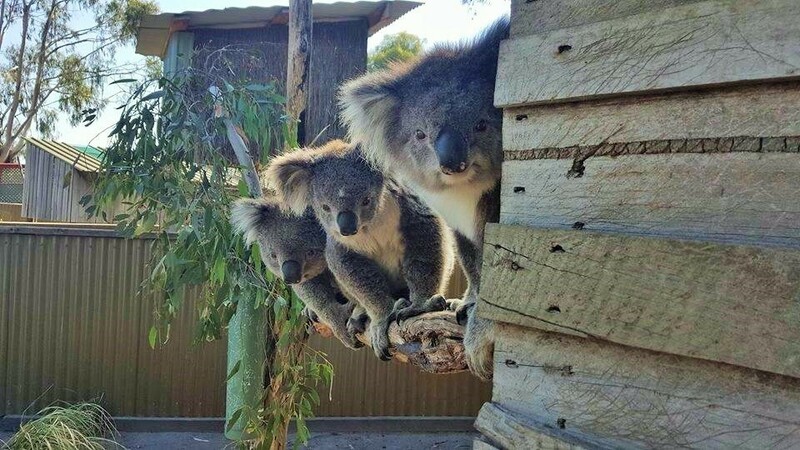 If it's Australian natives you want to see or animals from the world over, land animals or sea creatures, wild or farm animals you will find them around Melbourne. Visit at any time of the year but if its spring when you go keep an eye out for cute baby animals. 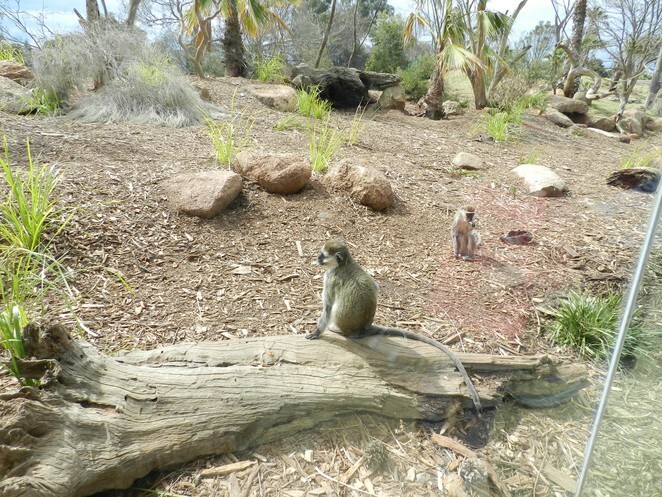 Opened in 1983, this 225 hectare open range zoo is Melbourne's little Africa. Board the Safari Tour Bus for a 40-minute ride through the arid landscapes and savannah grasslands of the Zoo's open ranges. See zebras, giraffes, rhinoceroses, and plains horses. The Safari Tour is included in the admission price and is wheelchair friendly. Amongst the other animals you can see at the Zoo are hippopotamus, lions, meerkats, wild dogs, monkeys, gorillas, cheetahs, camels, bison, elephants, camels, ostriches, emus and kangaroos. Daily Meet the Keeper talks are included in the admission price and include Serval Cat/Cheetah, Meerkats, Lions, Eastern Barred Bandicoot, Gorillas and Hippos. Click here for times. Some very special wild encounters can be arranged for an additional cost. In the Gorilla Behind the Scenes encounter keepers will guide you to the gorillas' night dens. The Off Road Safari goes one step further than the Safari Tour with smaller groups in a more open vehicle. Go behind the scenes to the lions' dens to learn about the pride and its daily care on the Lion Encounter. But it doesn't stop there. Check the website for the African Cat Encounter, Mini Zoo Keepers, Slumber Safari, Giraffe Feed Encounter, and Shadowfax and the Savannah. Where: K Rd, Werribee South VIC 3030. Click here for directions and transport options. Cost: (August 2016) Adults $32.50, Children under 3 for free, Children 4-15 years $16.30, (Children under 16 enter for free on weekends, public holidays and school holidays), Concession $24.90, Senior $29.30. Check the website for wildlife encounter and special event pricing. Opened more than 150 years ago in 1862 Melbourne Zoo is the oldest of our zoos. 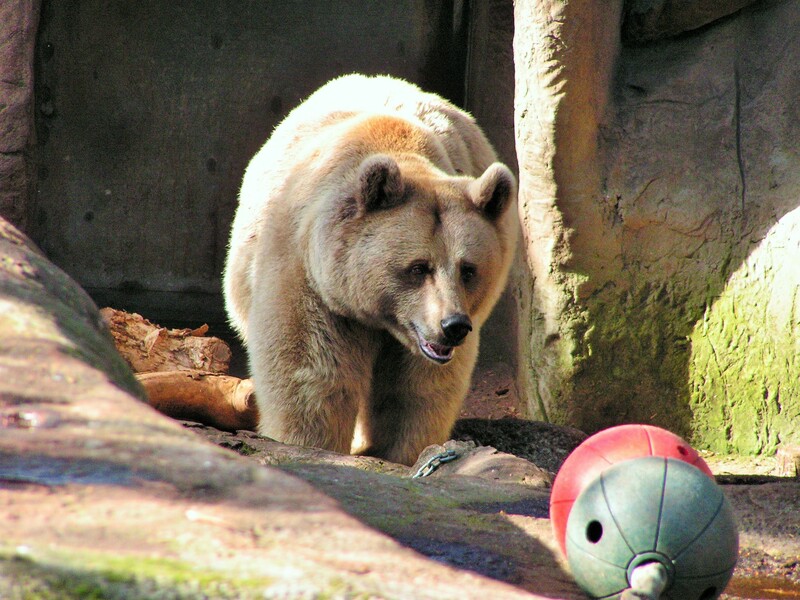 The types of animals housed at the zoo are from the world over and are too numerous to list here. 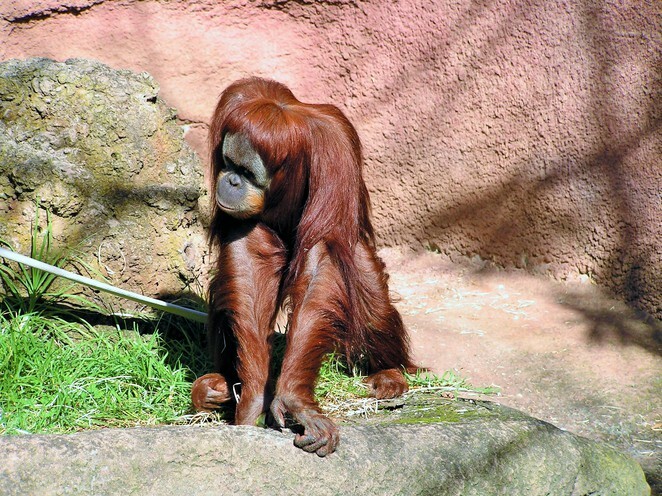 Old favourites include elephants, the big cats, rhinos, hippos, monkeys and apes, bears, reptiles, Australian natives, birds, seals, penguins and of course there is The Butterfly House. Wander around the zoo at your leisure, eat in the café or picnic on one or the many lawns. 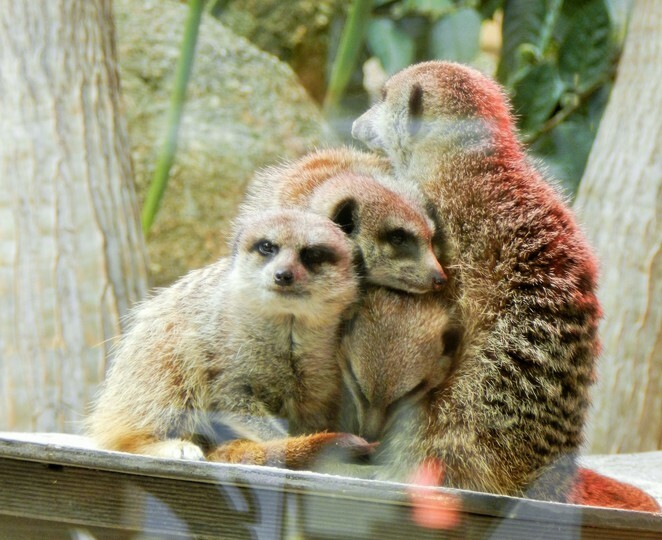 Don't miss the highlight exhibitions – the Meerkats, the Trail of the Elephants, the Orang-utan Sanctuary, the Wild Sea Exhibit, Baboon Lookout, Lemur Island, Lion Gorge, or The Australian Bush exhibit. For the more adventurous and for an extra fee several wild encounters and special events are offered. Close-up Encounters bring you face to face with lemurs, giraffes, giant tortoises, meerkats, kangaroos, squirrel monkeys and seals. In the Behind the Scenes encounters you can learn more about tigers, gorillas, orang-utans, or elephants. For something really special book a Paint with the Elephants encounter. 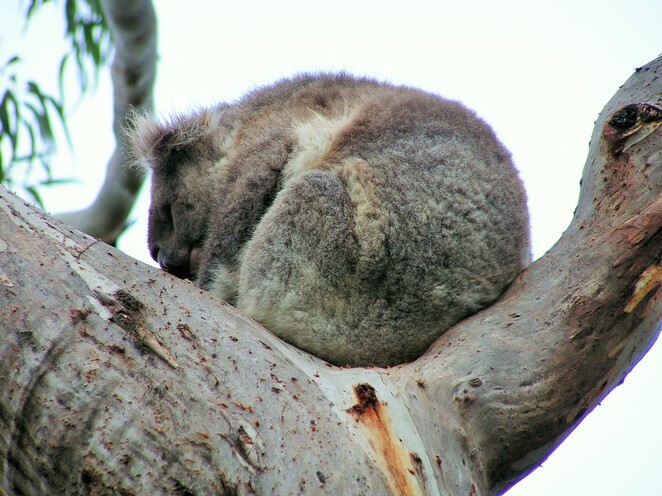 Add to this the Australian Wildlife Breakfast and Roar 'n' Snore and you are spoilt for choice. When: 9am to 5pm daily. Where: Elliott Ave, Parkville VIC 3052 Click here for directions and transport options. 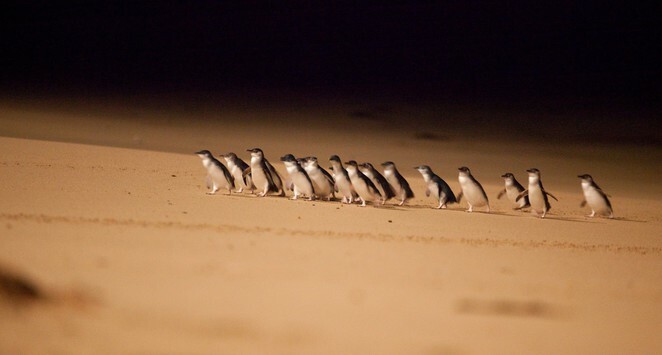 Ask people what there is to see on Phillip Island and fairy penguins will likely be at the top of the list, but the Phillip Island Nature Parks offer much more than this. The variety of animal attractions here will delight anyone and are particularly attractive to international visitors. Each day at the famous Penguin Parade visitors can watch from viewing stands and boardwalks as the fairy penguins leave the water after a day at sea and waddle up the beach to their burrows. Visitors can upscale their experiences with the Penguins Plus, Underground Viewing, the Penguin Sky Box, the Ultimate Penguin Tour and the Penguin Eco Explorer Tour. Click here for cost and ticketing details. Wander the treetop boardwalks at the Koala Conservation Centre and see the koalas in the trees where they live. This is itself special but keep an eye on the ground below as the centre is also home to wallabies and echidnas. Click here for ticketing and cost details. 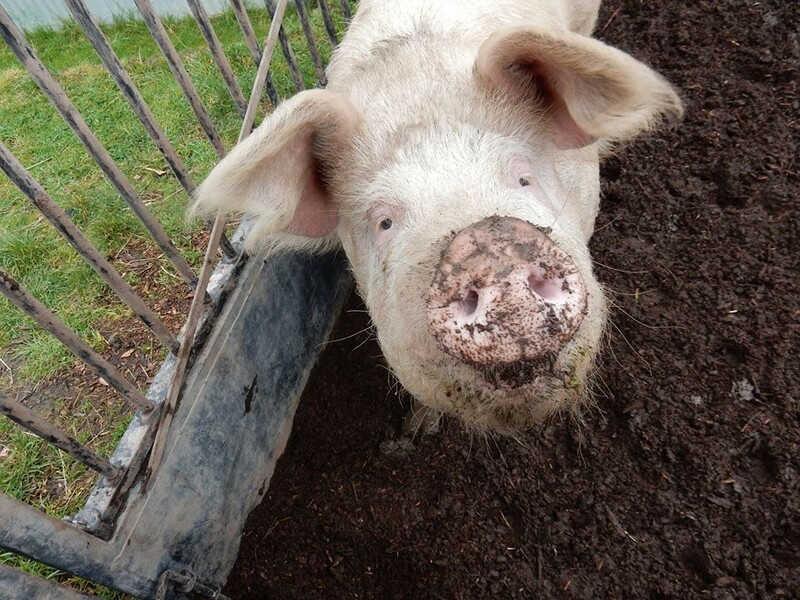 Churchill Island Heritage Farm preserves a time past and as well as the animals visitors can walk through the heritage home and farm buildings. There are uncommon farm animals here, Clydesdale Horses and Highland Cattle, both regal beasts. Daily activities at the heritage farm include cow milking, sheep shearing, whip cracking, and working dog demonstrations. Weather permitting, wagon rides are run on weekends and holidays. There is an onsite café and souvenir shop. Click here for ticketing and cost details. Hop aboard a high speed boat for the Wild Ocean Eco Boat Tour. Zoom past the Island's picturesque coastline on your way to an up close encounter with one of Australia's largest colonies of fur seals. Click here for ticketing and cost details. When: Daily. Check the links for above for attraction, activity and tour times. Where: Phillip Island, 90 minutes from the Melbourne CBD. Click here for directions. Cost: Check the links above for cost and ticketing details. 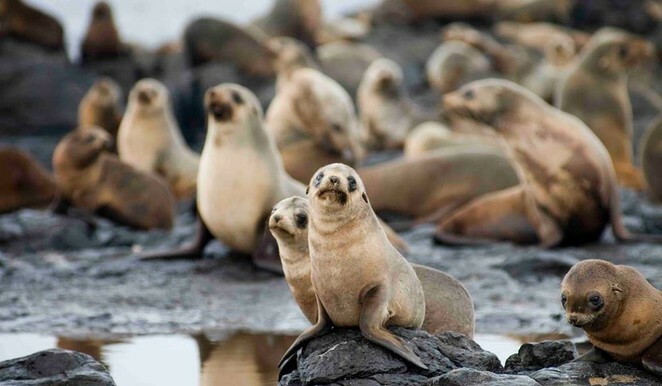 Phillip Island Nature Parks offer bundled ticket pages and 4 Park Passes. This wildlife conservation park set in 10 hectares of bushland is a great place to see Australian animals in close quarters. A walk around the park's enclosures takes in wombats, birds, dingos, koalas, Tasmanian Devils, quolls and emus. 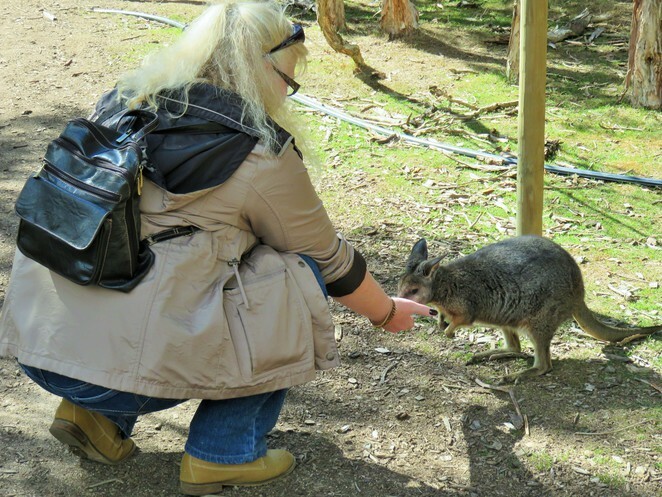 Kangaroos and wallabies roam freely at the back of the park and little bags of food can be bought to hand feed them. Cape barren geese meander across the open grasses and wild birds visit the wetlands in the centre of the park. It is worth taking note of times for the Keeper Talks when you will get a much better look at the animals as well as interesting information. Talks are held at the dingo, koala, Tasmanian devil, python, corella and wombat enclosures. Moonlit Sanctuary also offers wildlife encounters. My husband and I experienced the Python Encounter and the Barn Owl Encounter. 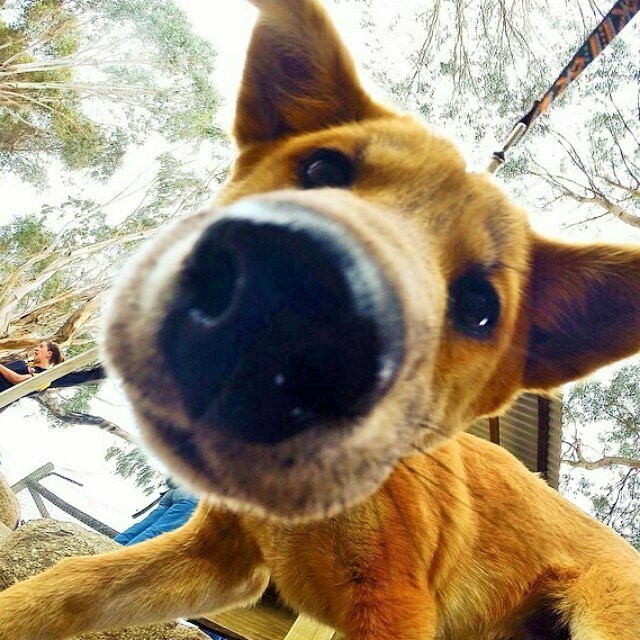 There are also Koala and Dingo encounters. A day visit is a whole lot of fun but many Australian animals are more active at night and it is then that Moonlit Sanctuary lives up to its name offering Lantern-Lit Evening Tours. Where: 550 Tyabb-Tooradin Rd, Pearcedale VIC 3912. Find directions here. Cost: (August 2016) Adult $20, Concession $18, Pensioner $16, Child $10, Family $53. 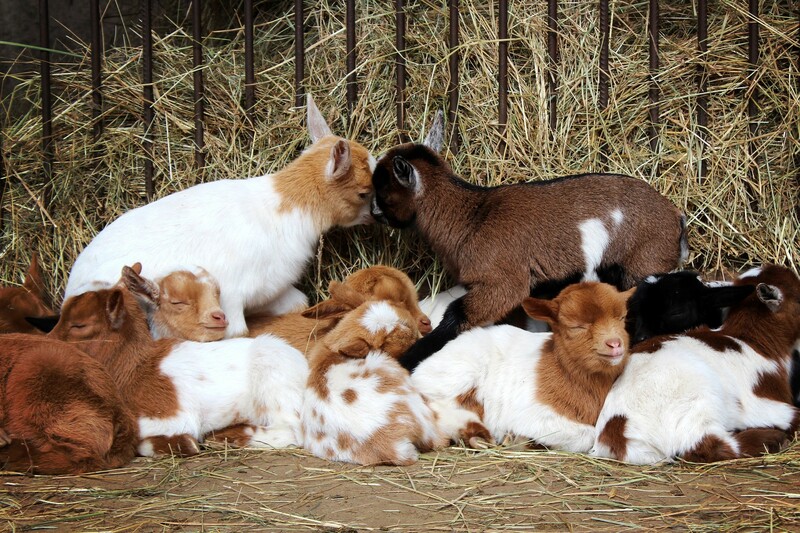 Australian natives and farm animals are featured at this fun animal park which is paired up with a minigolf course. The children will love this one. 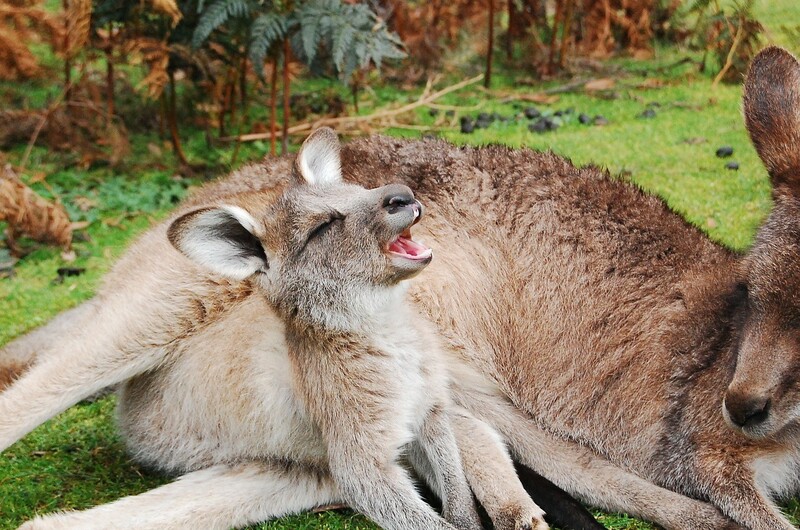 On your visit, you can expect to see koalas, kangaroos and wallabies, dingoes, emus, parrots, wombats, and sheep. Here you will be able to hand feed and pat the animals. Check times for the Keeper Presentations to learn more about the animals. Presentations are done for koalas, dingos, Tasmanian devils, reptiles and tawny frogmouths. For an extra fee, you can treat the children and yourself to a Close Encounter. Choose from encounters with a koala, a dingo, a python, or a lizard. Encounter options are for one person with one animal, two people with one animal or the Ultimate Encounter with three animals. 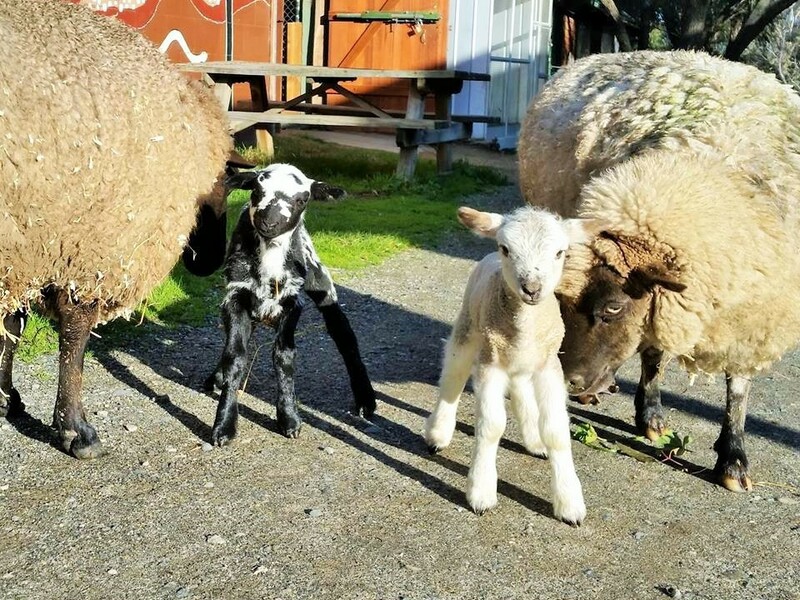 When you've finished with the animals grab a meal at the Bistro, take in the sheep shearing demonstration and head over to Pirate Pete's Minigolf Adventure to round off a fun day. When: 9.30am to 5.30pm every day except Christmas Day. Cost: (August 2016) Animal Park: Adult $20 Senior $14, Child $11, Family $54. Minigolf: Adult $15, Senior $12, Child $9, Family $40, Both: Adult $30, Senior $20, Child $16, Family $80. 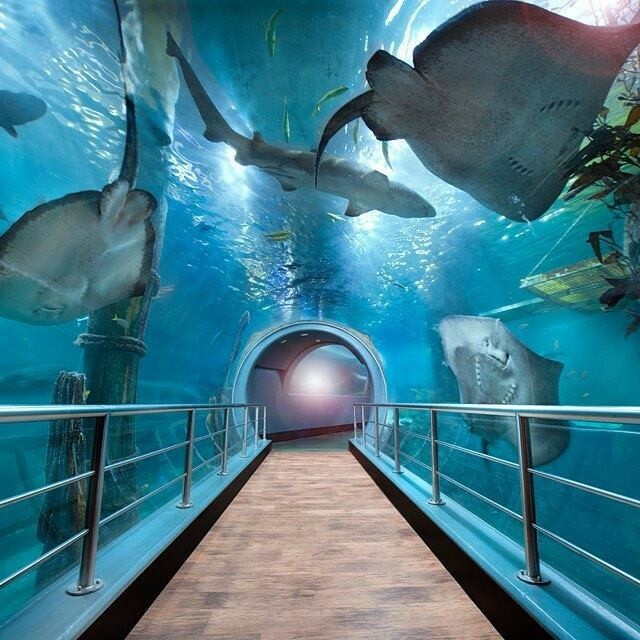 Visit Sea Life Melbourne Aquarium for a close look at sea creatures. Fish are well represented and you will see sharks, turtles, stingrays, sawfish, and tropical fish. 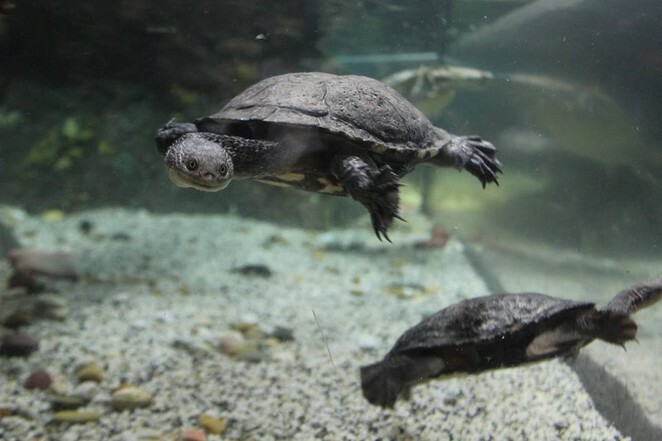 But it's not just underwater creatures you will meet here, they also have penguins and crocodiles. Don't miss the Bay of Rays, the Mangroves and Rock Pools, the Coral Caves, the Shipwreck Explorer, the Mermaid Garden, the Ocean Discovery, the Croc Lair, the Coral Atoll, the Rainforest Adventure, the Seahorse Pier and the Penguin Playground. Learn more about these wonderful creatures at the Daily Talks held at Croc Lair, Penguin Playground, Bay of Rays, Shipwreck Explorer (Ocean Predators) and Bay of Rays. Check the timetable to plan your visit. 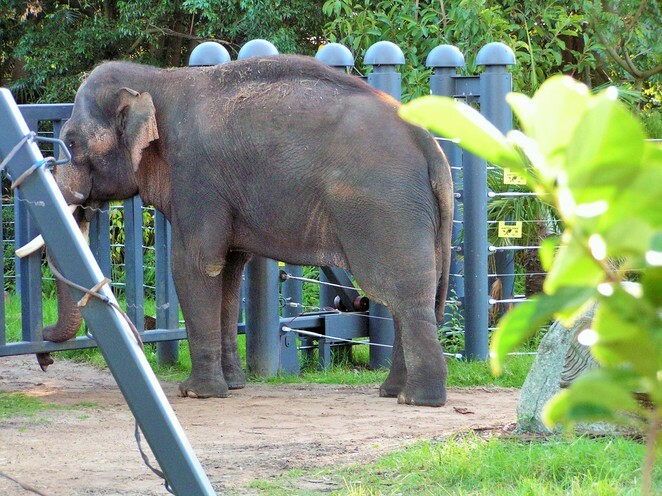 In keeping with the best of Melbourne's animal attractions, for an additional cost, there are encounters for the adventurous. Choose from Glass Bottom Boat, Behind the Scenes, Shark Dive Xtreme, Penguin Passport, Aquarist Programs, and Ocean Rangers. Cost: (August 2016) Adult $40.50, Concession $32.50, Child $26, Family $99. Click here for discount deals and packages. Healesville Sanctuary opened in 1934 so some of the children visiting today may well be great, great grandchildren of the early visitors. The Sanctuary looks after Australian native animals so you can expect to see kangaroos, wallabies, koalas, platypus, emus, echidnas, wombats, possums, lyrebirds, parrots, wedge-tailed eagles and many more. Wander about the exhibits at your leisure and make sure you don't miss the highlights. Watch the vet nurses treating injured and orphaned wildlife at the Australian Wildlife Health Centre. 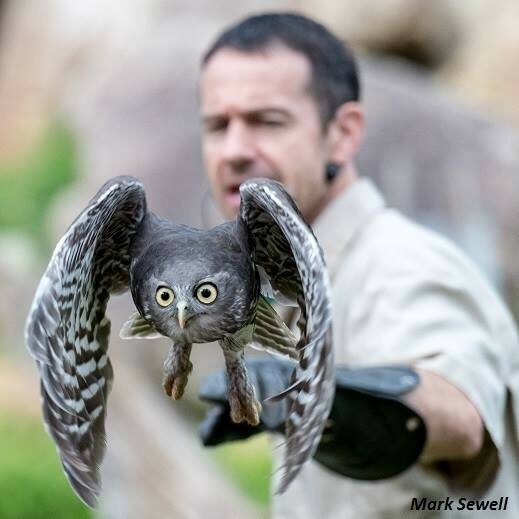 See birds of prey and parrots on the wing in the Spirits of the Sky show. 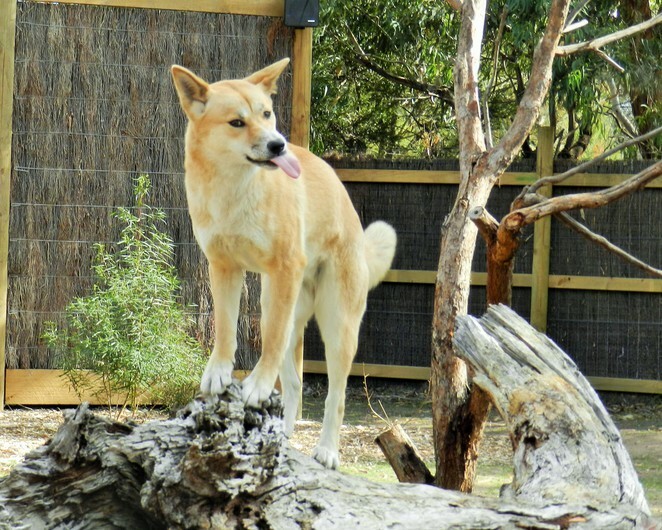 Join the keepers for Tales from Platypus Creek, learn about the breeding programs at Cool Conservation, stroll through the Land of Parrots aviary, and see our native dogs in Dingo Country. There is also Animals of the Night, Fighting Extinction Headquarters, Lunars Secret Forests, Future Vets Playspace and Kids Nature Play. Wow! Can you get through this in just one visit? But wait, there's more. 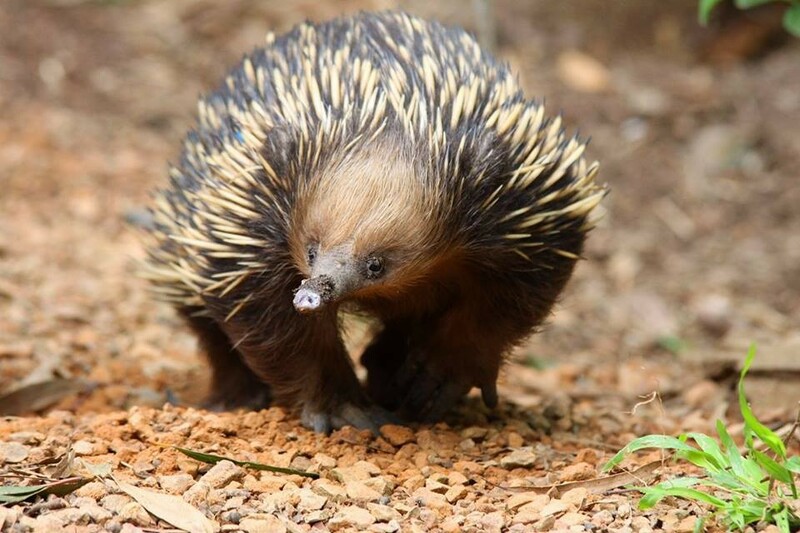 Healesville Sanctuary has a number of wild encounters. 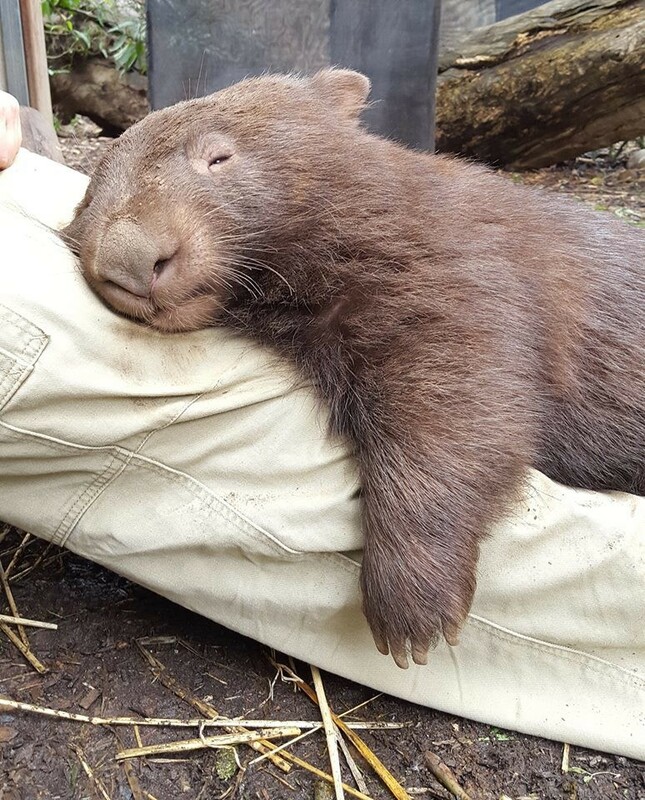 Choose from Magic Moments, Wade with the Platypus, Wine and Wildlife Tour, and Wombat Pay and Play. 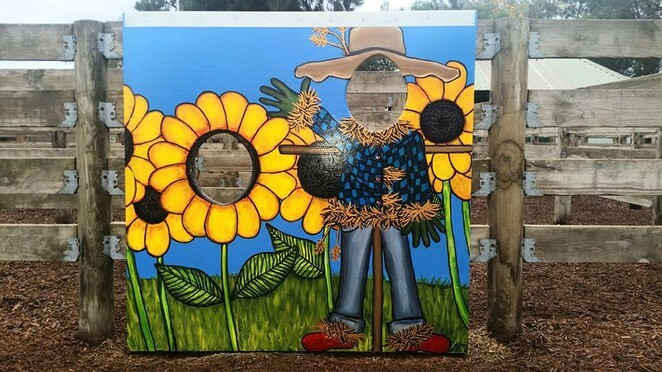 Children and adults alike have enjoyed this public community farm, nestled beside the Dandenong Creek in Doveton since 1982. 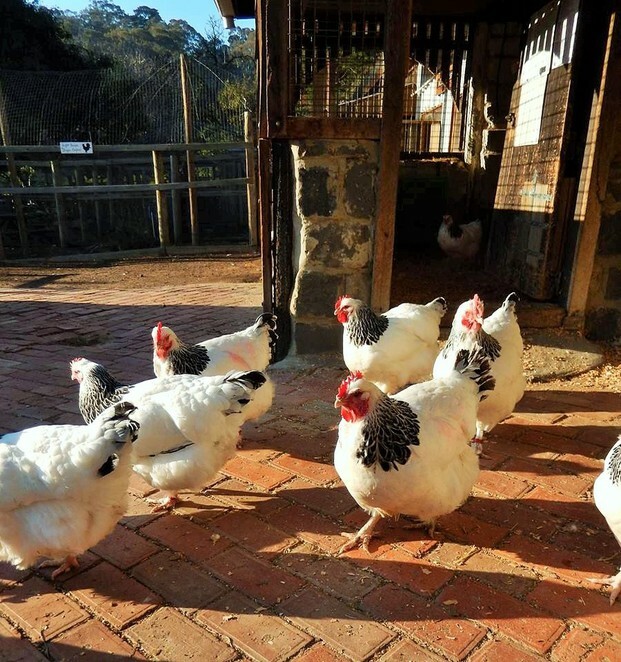 Aside from providing a fun day out, which it does exceedingly well, Myuna Farm's purpose is to present a traditional farming environment and preserve the agricultural history of the area. Hands on contact with many of the animals will have the children grinning. Resident on the farm are traditional farm animals such as cows, goats, pigs, sheep and chooks. Sometimes there will be baby animals, what a treat. But Myuna Park goes beyond the traditional farm with other paddock animals such as donkeys, deers, alpacas and buffalos. Australian Native animals onsite include kangaroos, emus, and cockatoos. For those of you who are fascinated by all things slimy and creepy the reptile displays include snakes, lizards and turtles. In the bird aviaries you will encounter peacocks, king parrots, budgies and cockies. Topping off the animal experience are pony rides, a children's playground, a maze, fun photo cutouts, a wetlands walk and a farm gate kitchen café. Click here for a farm map. When: 10am to 4pm every day but note that on Christmas Day the animal nursery is closed and pony rides are not running. Myuna Farm is also closed on Red Fire Warning days. Where: 182 Kidds Road, Doveton. Cost: (August 2016) Single $8, Concession $7, Family $28, Children under 1 for free, train and pony rides $3 per ticket. Children's farms are always popular and with a number of them scattered around and near Melbourne you should have no trouble finding one nearby. The Collingwood Children's Animal Farm has Heather the Ayrshore cow, Mickie the donkey, Joe the pony, and Charley Benson, a Clydesdale horse. Don't miss the pigs, goats, sheep, geese, chickens and more. Guinea pigs will be on hand for a cuddle. Feed the animals, wander through the paddock with the sheep and goats, feed the chooks or look for some eggs. Bundoora Park Children's Farm has kangaroos and emus as well as farm animals. Activities include wildlife rides, animal feeding, rabbit and guinea pig handling, milking demonstrations and chicken roundup. Animal Land Children's Farm in Diggers Rest allows visitors to hold, pat and feed the animals. Amongst the farm yard animals children will see cows, sheep, goats, pigs, ducks, chickens, ponies, alpacas, donkeys, deer, turkeys, peacocks, cockatoos, rabbits, and guinea pigs. Edendale is a community environment farm in Eltham. They have guinea pigs and farm animals and food is provided for feeding the poultry. Learn about sustainable land practices and how we get food from animals. Chesterfield Farm in Scoresby has farm animals and a variety of farm activities including Meeting the Pigs, Hand Milking the Cow, Tractor Rides, and Sheepdog Work. Why? Because little kids (and big ones too) just love animals. When: Any Day. Refer to the article sections for attraction opening times. Phone: Refer to the article sections and links for contact details. Where: Refer to the article sections for locations. Cost: Refer to the article sections for cost details or links to cost data. There's nothing quite like patting a soft new born baby animal - this is indeed a great list, thank you. 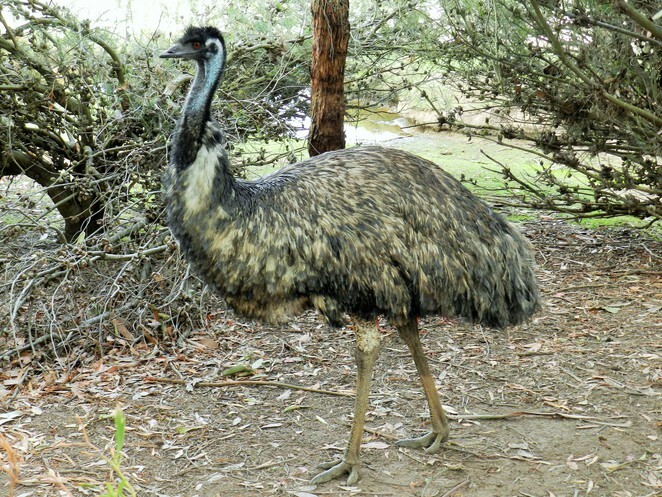 Watch out for the emus. They steal sandwiches! The zoos are old favourites and we've been to them several times along with Phillip Island but I didn't know about Moonlit or Maru. We'll be visiting them real soon. Thanks to Weekend Notes for pointing out things like this. 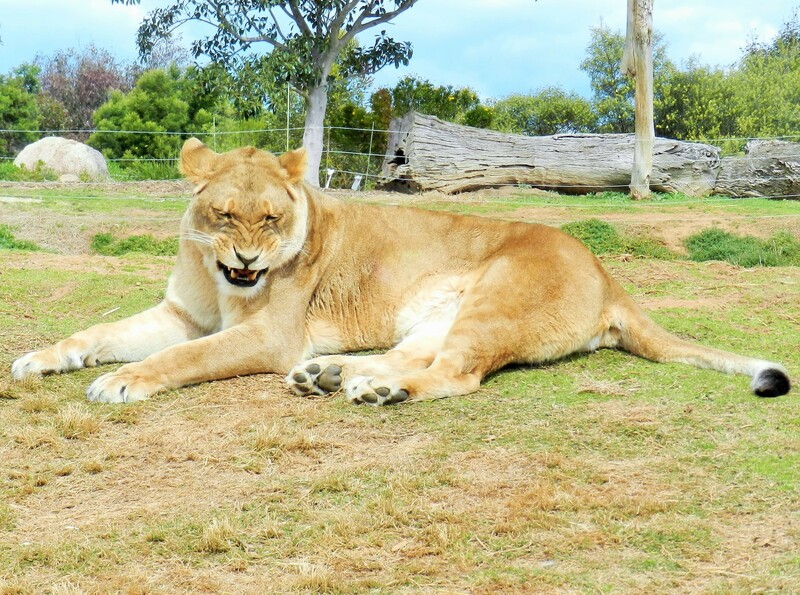 We are also going to the Ballarat wildlife Park as soon as we get a chance. What a great idea for the grand children to entertain them.